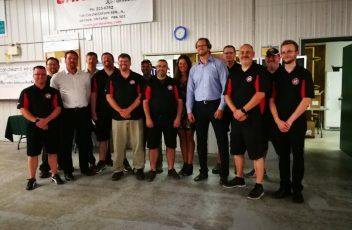 On Wednesday, July 26th Dryden welcomed home Chris and Sean Pronger and Bruce Ramsay. The event was hosted by long time hockey coach and school official Jack McMaster. The Dryden Kinsmen ran the bar and pitched in where they could as the community looks to raise money for much needed upgrades to Memorial Arena so that more kids can play and dream of being the next big star from Dryden. 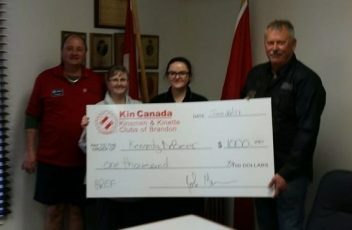 The events of the day raised in excess of $40,000 and the Kinsmen are very happy to have played a role in a great community event. The club wants to thank Kelly Sobering and Theresa Waites of the Dryden Kinettes for coming out and lending a hand. 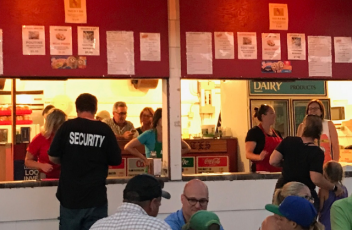 Carman Fair Food Booth a success again!! 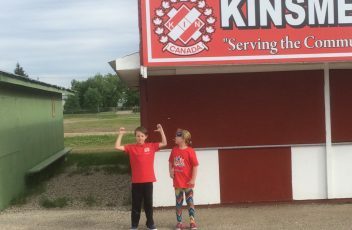 Take a Kin Summer Trip! !